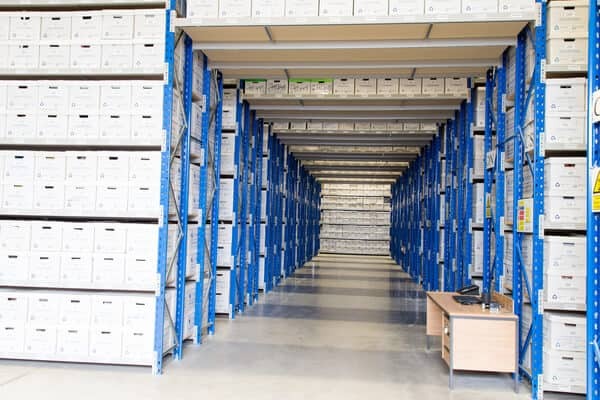 If you looking for document storage services in Shrewsbury then EvaStore is the local solution to your needs. EvaStore has many years of experience managing and storing files for a range of industries such as legal services, financial industries, hospitality, healthcare and many more. EvaStore believes in making it simpler for our clients to move and store their business documents off-site. You want to devote your time and energies to growing and developing your business and not managing your files and documents. We make document management easy for you by offering efficient and secure storage solutions, next day delivery of any documents you require back at your premises or even scan on demand services where we scan urgently required documents and transmit them to you in a secure electronic format. 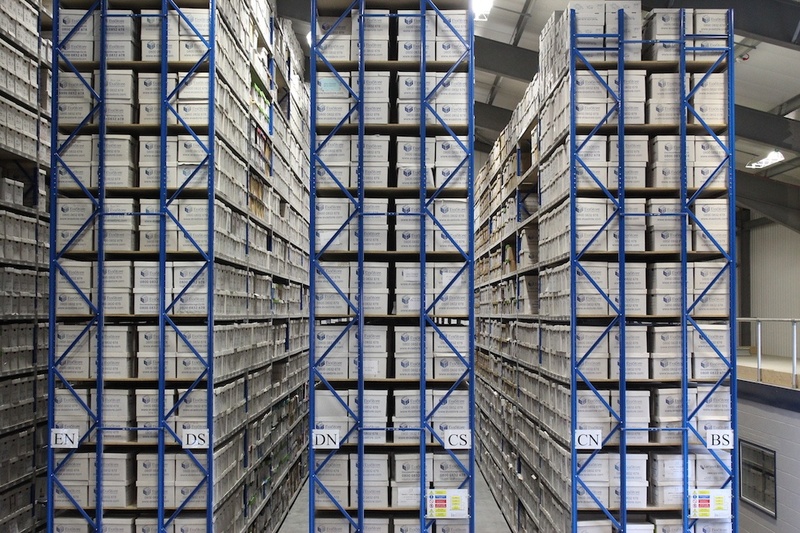 EvaStore Ltd uses O’Neil Records Management Software to track your files whilst in our care. 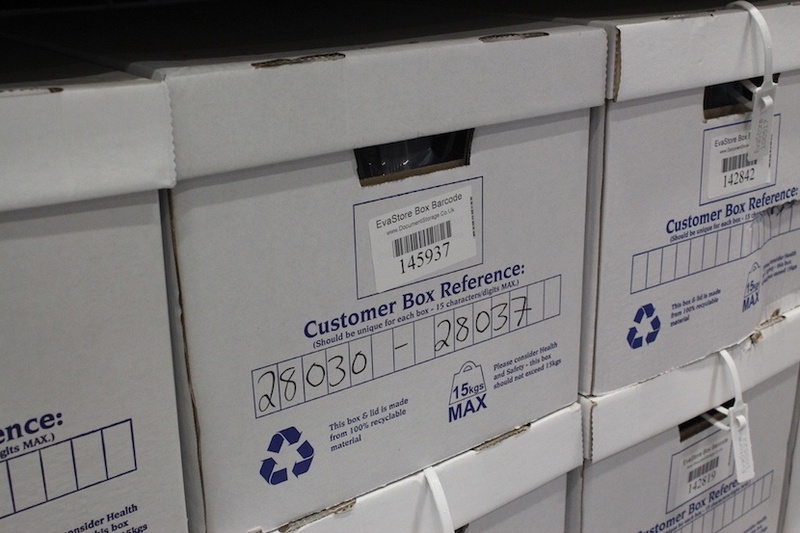 Each box is assigned a unique barcode upon initial collection and is scanned into the system by our driver. From this point on we know precisely where the box is at all times e.g. in our facility or at your premises and we can track a complete history of its time with us knowing its movements around our facility and any time spent at your premises. You can be assured that we will know the exact location of your valuable business documents at all times. 24 Hour CCTV Surveillance both internally and externally. Access control system which limits movement inside our facility to authorised personnel only using key fobs. 24 hour fire detection and off-site monitoring. 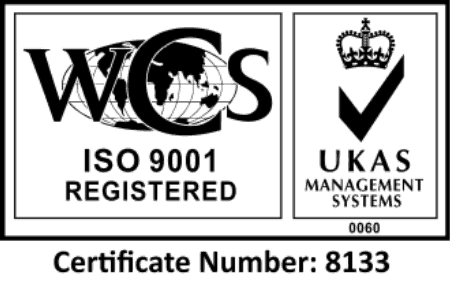 All staff are fully vetted and CRB checked. Our of hours visible guard presence.